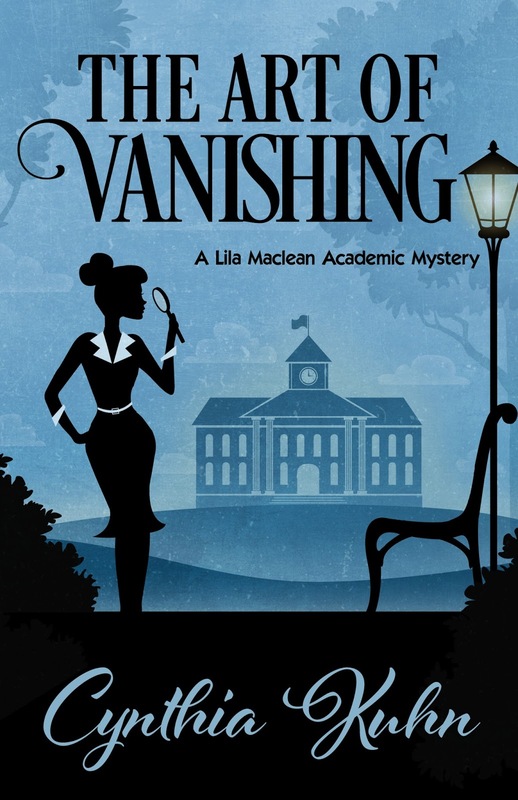 Cynthia Kuhn joins us today to talk about her new book, The Art of Vanishing. Don't forget to enter the contest at the bottom of the post. I was thinking about how academics interact with authors when they’re brought to campus, there was a “what if?” moment, and my imagination was engaged. This is difficult to answer because I love so many of them. One of my all-time favorite mysteries is ALIAS GRACE. It’s incredible—the voice, the twists, the whole concept. Margaret Atwood is absolutely brilliant. We would probably be friends—our interests overlap. Dorothy Parker—would love to listen to her make observations on anything and everything. Maybe Harriet Vane from Dorothy L. Sayers’s Gaudy Night or Hermione Granger from the Harry Potter series? Both have fascinating adventures in a school setting. Thanks very much for letting me visit! Cynthia Kuhn is here on blogger tour courtesy of Great Escapes Virtual Book Tours. Here are the rest of the stops. This book sounds fantastic! Love the cover.